Kenneth "Cork" Eugene Hertzler, Jr.
Kenneth “Cork” Eugene Hertzler, Jr.
Kenneth “Cork” Eugene Hertzler, Jr., age 60, of Mechanicsburg, and formerly of New Kingstown, passed away peacefully at home while surrounded by his loving family on Wednesday, August 1, 2018. Cork was born on Monday, August 19, 1957 in Carlisle to Mary (Yinger) Hertzler and the late Kenneth “Pap” Eugene Hertzler, Sr.
Cork’s survivors include his daughter, Kady Luke and her husband Jeremy, of Jacksonville, NC; his son, Conner Hertzler of Mechanicsburg; his grandson, Mason Luke; his step-mother, Shirley Hertzler of Mechanicsburg; his brother, Wayne "Tuck" Hertzler and his wife, Kathy, of MA; his sister, Velvet Freeman and her husband, Todd, of Mechanicsburg; and several aunts, uncles, nieces and nephews. Cork graduated from Cumberland Valley High School as part of the class of 1976. He was a member of the American Legion Post 109 in Mechanicsburg, the Enola Sportsman’s Club, the New Kingstown Fire Company, the Cumberland Valley Wrestling Boosters Club where he served as a past president, and a former member of the Mechanicsburg Club. Cork was a huge Cumberland Valley sports enthusiast and supporter which dated back to his time in high school playing football and wrestling. 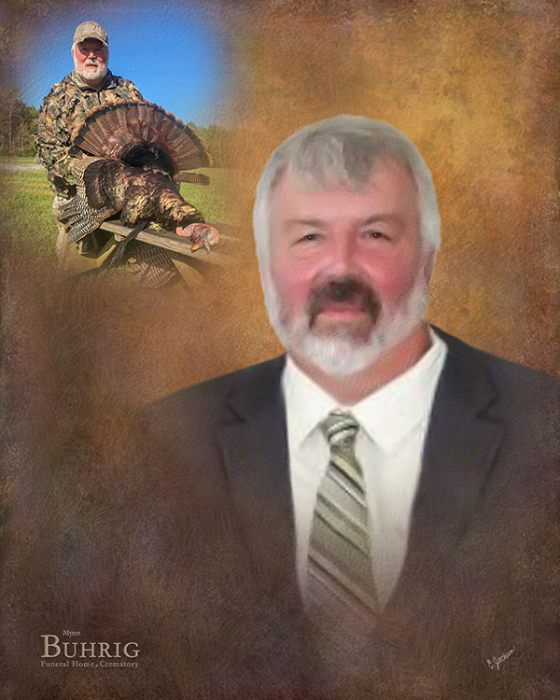 A dedicated and long-time employee of both Halls Trucking and then with Swartz Kitchens & Baths, Cork knew the value of hard work and was a respected and liked co-worker. His gentle nature and eagerness to go out of his way to help others made him a friend to so many. He was an avid and life-long hunter and fisherman and proud to be one of the founding members of Camp Magnum. Above all, Cork was a devoted family man whose love and kindness will be remembered forever. All are welcome to join Cork’s family at his gathering of family and friends on Wednesday, August 8, 2018, from 10:30 a.m. until time of service at 12:30 p.m. at Myers - Buhrig Funeral Home and Crematory, 37 East Main Street, Mechanicsburg, PA 17055; with Celebrant George A. Spangler officiating. Cork’s family invites everyone to join them for a time of food and fellowship at the New Kingstown Fire Company’s Banquet Hall, 277 North Locust Point Road, New Kingstown, PA 17072, immediately following the service. Cremation was and scattering will be private. Contributions in celebration of Cork’s life can be made to the Trisha A. Sadler Foundation, P.O. Box 93, New Cumberland, PA 17070-0093, www.TrishaSadler.org. Cork’s family has entrusted his care to Myers – Buhrig Funeral Home and Crematory in Mechanicsburg, (717) 766-3421. Read Cork’s full obituary, view his memorial video and portrait, and sign his official guest book at Buhrig.com.